Jack Reacher is back, in a new chilling, deadly adventure. Jack Reacher takes an aimless stroll past a pawn shop in a small Midwestern town. In the window he sees a West Point class ring from 2005. It’s tiny. It’s a woman cadet’s graduation present to herself. Why would she give it up? Reacher’s a West Pointer too, and he knows what she went through to get it. Reacher tracks the ring back to its owner, step by step, down a criminal trail leading west. Like Big Foot come out of the forest, he arrives in the deserted wilds of Wyoming. All he wants is to find the woman. If she’s OK, he’ll walk away. If she’s not … he’ll stop at nothing. He’s still shaken by the recent horrors of Make Me, and now The Midnight Line sees him set on a raw and elemental quest for simple justice. Best advice: don’t get in his way. 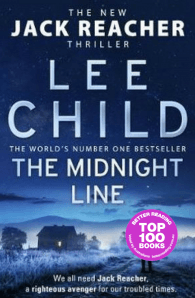 Lee Child is one of the world’s leading thriller writers. He was born in Coventry, raised in Birmingham, and now lives in New York. It is said one of his novels featuring his hero Jack Reacher is sold somewhere in the world every nine seconds. His books consistently achieve the number-one slot on bestseller lists around the world, are published in over one hundred territories, and two blockbusting Jack Reacher movies have been made so far. He is the recipient of many awards, most recently the CWA’s Diamond Dagger for a writer of an outstanding body of crime fiction, the International Thriller Writers’ ThrillerMaster, and the Theakstons Old Peculier Outstanding Contribution to Crime Fiction Award. 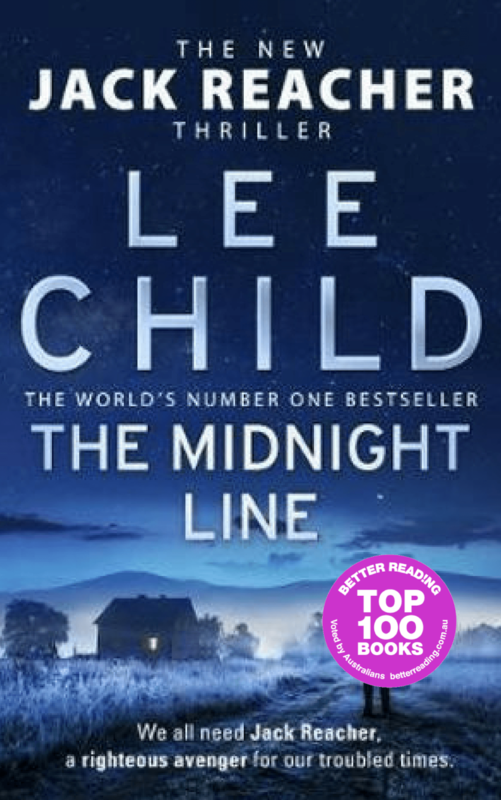 Lee Child is one of the world's leading thriller writers. His novels consistently achieve the number one slot in hardback and paperback on bestsellers lists on both sides of the Atlantic, and are translated into over forty languages. All have been optioned for major motion pictures, the first of which, Jack Reacher, was based on the novel One Shot. He was awarded the Crime Writers Association Diamond Dagger in 2013. Born in Coventry, he now lives in America.